Fluorphlogopite - synthetic mica - Borosilicate and quartz glass, mica, sealing, level gauges, armature - Continental Trade. Fluorphlogopite mica (also called artificial mica, synthetic mica crystal) belongs to artificial mica crystal of silicate. It is the mica crystal which is smelted in a platinum crucible at the condition of high temperature of 1500℃ and the condition of process and the material ratio is controlled strictly. The synthetic fluorine mica, fluorphlogopite KMg3(AlSi3O10)F2, contains no (OH)- of the natural phlogopite KMg3(AlSi3O10)(OH)2. The (OH)- is fully substituted with F- . Large fluorine mica crystals of high quality are grown by a Bridgman-Stockbarger method using platinum crucibles with seeds. The synthetic mica's high temperature resistance, corrosion resistance and light transmission performance is beyond compare. It can work at the high temperature of 1100℃ for a long time without any reaction with strong acid and alkali, and it has the complete light transmittance(pure transparent). which are much superior to that of natural mica. The observation window of water level gauge on high pressure boiler is made of traditional natural mica, which is brown, bad light transmittance and temperature range at 200-700℃, especially its weak corrosion resistance. In thermal power plant, the steam drum water in boiler contains alkali. The natural mica, after the reaction with alkali and the wash by hot water, will be easily pilling, fouling and broken. The result of which is that the water level will not be clear at the short period of time (about 1to 2months), and after being broken, it extremely easy to cause the leakage. Fluorphlogopite mica does not react with acid-base solution and has not hydration reaction with water, so it is not layer, not dirty and no rupture. Under the long-term scour by high temperature and high pressure water, the fluorphlogopite mica can still maintain the original transparency and clarity. Fluorphlogopite mica has been widely applied as observation window of steam drum water level gauge of high pressure boiler. The synthetic mica sheets are suitable for a variety of uses such as substrates of thin film, windows and monochromater for x-ray, neutron diffraction, microwave and optics, spacers of electrical vacuum devices, supporters at high temperature and water-gauges of high pressure boilers, and etc., which are important in modern industry and most advanced branches of science. Fluorphlogopite mica plates are used eg. in radar technology, electron microscopes and medical equipment, aerospace and electronic components. Our trade offer includes both synthetic mica in the form of plates and discs as well as ground mica of various granulation degree: from powder (grains about 5 μm) to fine flakes (about 0.4 mm). More information on our webpage Synthetic mica. The fluorphlogopite mica, because of its purity, has high body resistivity (1000 times higher than natural mica) and can be safely used at the temperature up to 1100°C. Natural mica, due to its impurity, has unstable electric performance, especially at high temperature and high frequency. 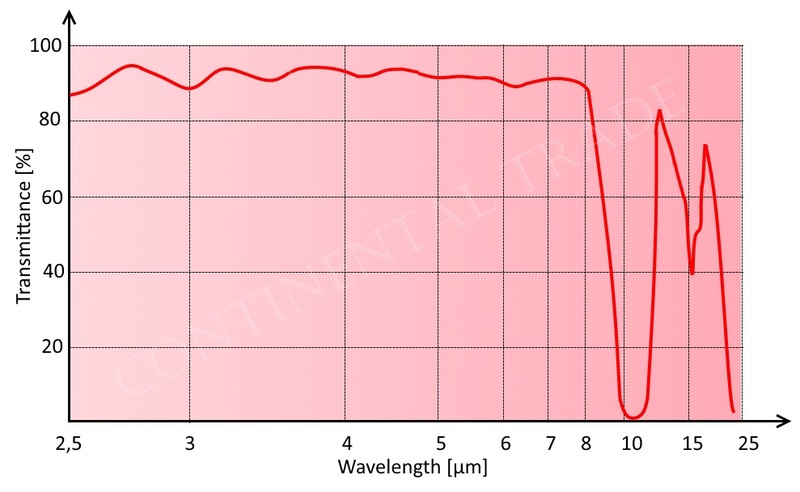 When above 500°C, it will gradually lose the characteristics of original because of dehydration. 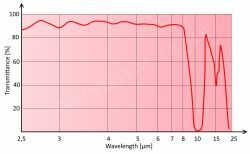 The vacuum deflation of fluorphlogopite mica is low, and only the absorbed gases such as O2 , N2 and Ar are detected by a mass spectrograph. As no vapor of H2O is emitted, it is recommendable as electric vacuum insulant with the vacuum components’ service life greatly prolonged. The natural mica gives off H2O and other volatiles, hence large vacuum deflation, 2000 times higher than fluorphlogopite mica at 900°C. Fluorphlogopite mica is not inclined to distortion and can bear big stress, tension and compression. Fluorphlogopite mica has superior thermal stability. It can be used up to 1100℃ with its thickness almost unchanged, and will decompose gradually at 1200℃. Its melting or crystallization temperature is (1350±5)℃. Natural mica, as containing (OH) -, tends to be agravic at 200℃, and begins to decompose above 450℃ while thickening, severely agravic above 600°C and almost completely decomposing at 900°C. Therefore, the use of natural mica is restricted. Synthetic mica is therefore recommended for high temperature applications up to 1100 ℃. It can also work in sub-zero temperatures to - 100 ℃. Fluorphlogopite mica, because of its small impurity, it has good photopenetrativity from ultraviolet to infrared. 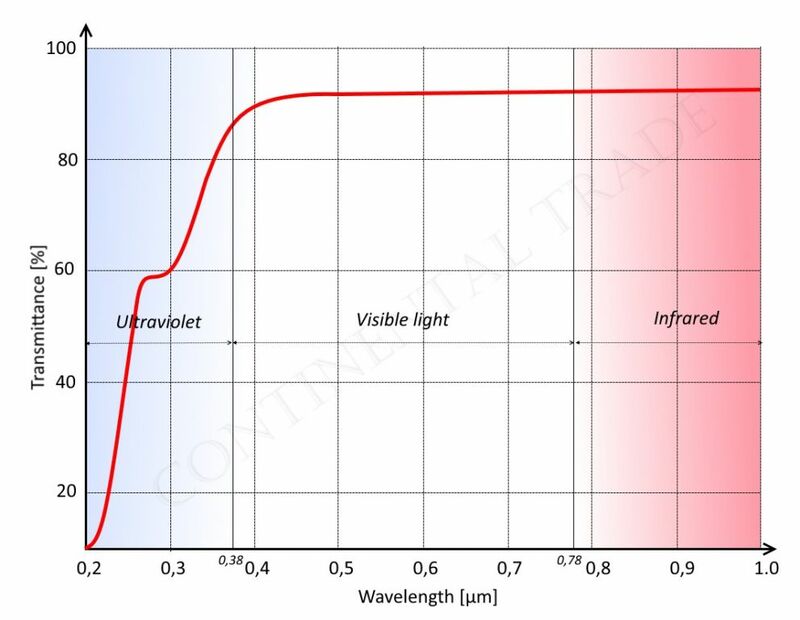 Ultraviolet almost cannot penetrate natural mica, but can penetrate fluorphlogopite mica by nearly 0.2 microns. The natural mica has a distinct absorption peak at 2.75 microns, while fluorphlogopite mica has not, which is an important indication that fluorine replaces hydroxyl. 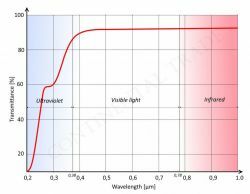 So we can conclude that fluorphlogopite mica is a sort of good euphotic material from ultraviolet (0.2 microns) to infrared (4.5 microns). Fluorphlogopite mica will not react with common acid and alkali solutions, neither will it with water. For that reason, it will not become layered, dirty and disrupted. It will almost remain its original clarity and transparence after being washed by water (either acid or alkali) of high temperature and high pressure for a long time (2-3 years). Natural mica will become buff and hydrated after being washed by heated and pressurized water or overheated vapor for months. As a result, it becomes much less transparent and layered, dirty, even nontransparent and disrupted. Even long term immersion in hydrochloric or sulfuric acid is not a problem. consistency Synthetic mica is synthesized by internal heat. All the raw materials for each batch and the formula can be controlled, which guarantees the quality consistency of each batch. Due to the mine is formed for millions of years, the quality of each mica mine is quite different. Even though in a same mine, the quality is hard to keep consistency. Thus, the quality of each batch is different. Radiation Synthetic mica is synthesized artificially so that it is free from natural radiation. Most of ores are more or less with radiation as the mine was formed through millions of years. Purity Synthetic mica is a crystallized combination produced according to formula. The raw materials are by severe screening, which guarantees the high purity. The mica is formed by natural powder so that it is with many mineral impurities. Meanwhile, it gets pollution during mining. The purity is much less than synthetic mica. Heavy metal content Synthetic mica is nearly free from heavy metal. Natural mica is with many harmful heavy metal to human health. Appearance Smooth surface. High whiteness(>92). It has worse surface smoothness and looks grey. The whiteness is about 60 - 80. Heat-resistance The melting point of synthetic mica reaches（1350±5）℃. Generally at 200 ℃, the layers start to stratify and the color changed. （OH）Bond Synthetic mica is OH Bond free. It is not like the natural mica would release harmful hydrogen to steels. Thus, it can be used to antirust metal products. 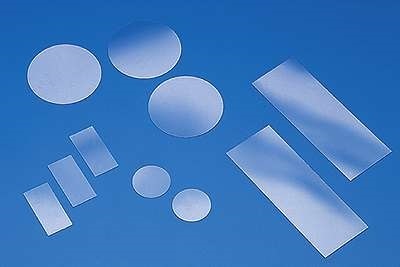 Optically transparent rate Synthetic mica crystal is colorless and transparent that has better optically transparent property against infrared and ultraviolet radiation than natural mica does. So the synthetic mica based pearl pigment is quality.